The Fero Royale Y2 is the successor to the Royale X2 smartphone which received positive reviews last year. The new Y2 was introduced this year as a selfie focused smartphone that gives great value for money. The Royale series from Fero are known for their budget friendly prices and quality features as well. The Fero Royale Y2 boasts of 2GB RAM, 16GB storage, 3900mAh battery and available on shopping stores. 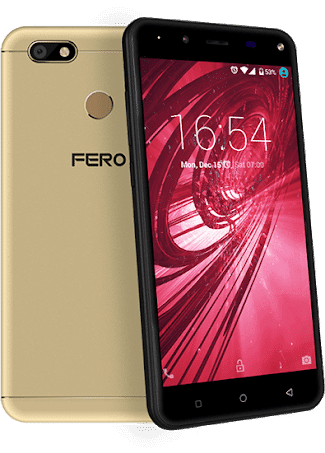 What is Fero Royale Y2 Price and Availability Status? 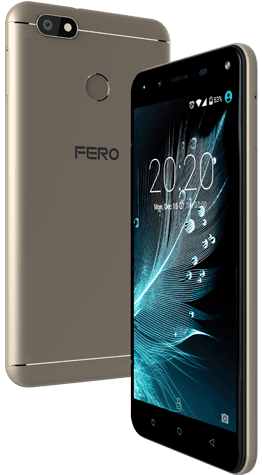 A big upgrade in terms of design from Fero, the Y2 sports an overall metal unibody with sleek antenna lines. The company finally left the archaic Plastic design, going with this classy change. The dual antenna lines sure adds to the beauty of the device no doubt. At the top left corner, the rear camera exudes in a horizontal line with the LED flash. While the rear fingerprint scanner and Fero logo are in their usual position. It measures 8.4 mm in thickness and weighs 168g overall, making it easy to hold and operate. The Royale Y2 is available in only Gold and Black colors. Fero obviously isn’t freaked about the bezel-less trend, as they still sticked with the huge bezels. The bottom bezels houses three navigation buttons, while the top houses the usual features. If you are not into the bezel-less trend as well, you can see how to win the Infinix Note 4 here for free. The narrow bezel seems to be super minimal as well, dishing out a more taller view in landscape mode. The 5.5-inch TFT IPS capacitive touchscreen is pretty standard. Boasting of 1280 x 720 pixels in resolution and 282 pixel per inch density, dishing out clear visuals. Under the hood is the MediaTek MT6737 chip with Quad-core processor and 64-bit CPU architecture. The 4-cores of processor reaches a clock speed of 1.4GHz and has a 28nm process technology. In charge of the graphics processing unit, is the ARM Mali-T720 MP2 graphics processor. In terms of RAM, it comes with the standard 2GB RAM, while the Fero Y2 Lite has just 1GB with a memory speed of 533MHz. While for storage, 16GB is available to store all files and also upgradeable up to 128GB. It runs smoothly on Android 7.0 Nougat operating system with modified UI. Comes with a crystal clear 13MP selfie camera and front LED flash for cute selfies and night video calls as well. At the rear, there’s another 13MP camera with f/2.2 aperture and LED flash. With the Fero Royale Y2, you can capture 3K resolution images and videos at 30fps. Powering the Fero Royale Y2 is a 3900mAh Non-removable Li-Po battery with no fast charging technology. Even without the fast charging feature, it shouldn’t take more than 3 hours to fully charge up the battery from 0% to 100%. The Fero Royale Y2 is available on Shopping stores from $79 (N25,000) to $99 (N35,000). Click on the links above to view the latest Fero Royale Y2 price & availability. pls does it have notification light?? The phone features are impressive but the problem is no fast charging technology.